Getting the presents wrapped and painting a piece for Sandy about our family called “Love Memory”. Our days are flowing so quickly! Just finished “Moonflower Vine” by Jetta Carleton. Maybe one of my favorite reads of all time! watching lots and lots of Sharon, Louis and Bram with Luca, smiling at little Rosie and getting toothless grins back! Celebrating the Soltice and what it means for our turning earth. Coming closer to the Spring, but loving winter and home warmth in our hearts – coming together in front of the fire and snuggling close at night. We are creatures of love. 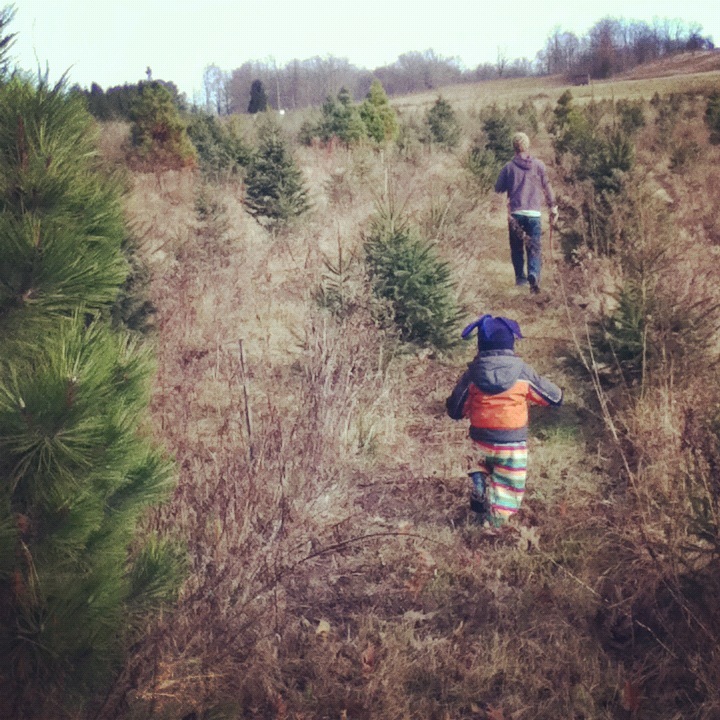 At the Christmas tree farm – our first family cutting in Canada! The best little winter shack – complete with hot cider and a wood stove burning. Luca on our front porch – showing off our mild winter temps! The most mild Christmas I’ve ever experienced! I guess I’m not in Kansas anymore…or so I thought!